Legendary sound. Modern performance. The Fender American Performer Telecaster RW is a stunning, expertly crafted guitar straight out of Fender's California factory. It's been designed to provide raw rock 'n' roll tones, exquisite playability, and industry-leading sound quality that brings this vintage instrument, kicking and screaming, into the 21st century. You'll enjoy intense single-coil sound delivered with magnificent clarity thanks to a pair of Yosemite pickups. They're ideal for live performance, eliminating feedback even at the highest outputs. 22 jumbo frets let you solo with freedom. 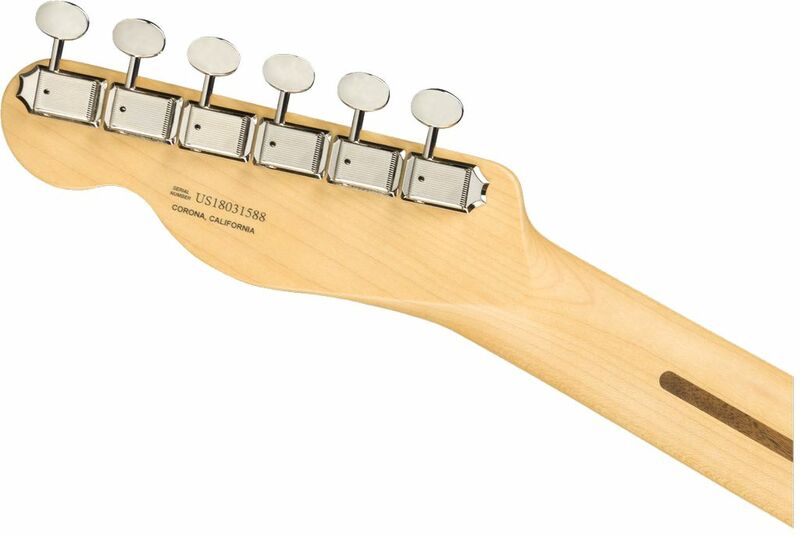 And you can experience a totally natural playing action courtesy of a comfortable, modern "C"-shaped maple neck. Electric guitar excellence. A pickup system to give you raw, powerful tones. A duo of Yosemite single-coil pickups can inject unparalleled sonic aggression into your music. With their classic single-coil voice, you'll be able to play with the sound that defined rock 'n' roll. But this is classic sound reimagined for the modern day. 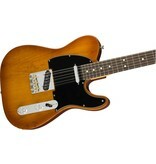 So Fender haven't stopped at creating exhilarating single-coil sound. With these Yosemite electronics, they've managed to develop single-coil pickups that perform with magnificent clarity, too. 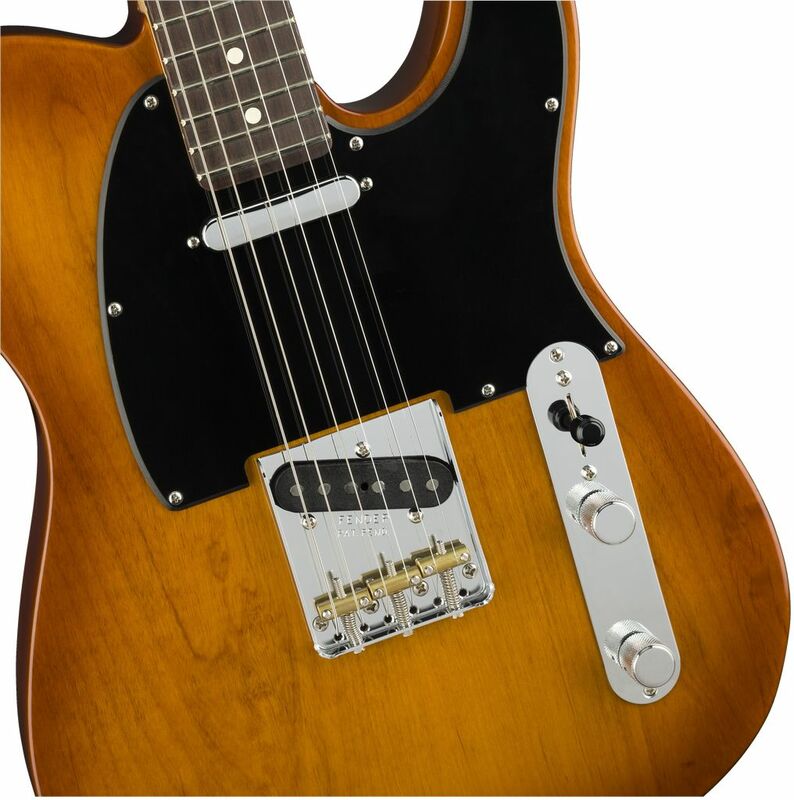 Gone is the unpleasant hum associated with single-coil pickups when the volume is cranked up. You can now ramp up your output without worry of interference thanks to flat-staggered pole pieces combined with shellac coating (neck pickup) and wax potting (bridge pickup). Finally, you can play without restraint. Be a guitar hero. Because in the American Performer Telecaster, Fender have provided you with an instrument that'll make your lead playing easier, more intuitive, and better sounding than ever. They've fitted the guitar's neck with 22 jumbo-sized frets. This increased playing area gives you more space to work with, making it easier to hit notes, and facilitating massive string bends that can give your solos a distinctive edge. Each note will sound amazing, too. A string-thru bridge helps increase each string's natural sustain and resonance. This means every note in every solo will ring for longer and sound clearer. Ensure every member of your audience clearly hears your thrilling lead lines. All-conquering range. 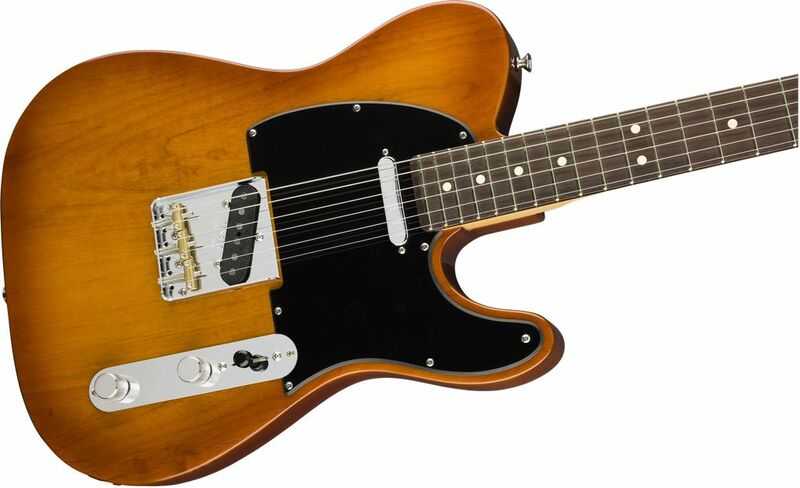 You'll never be limited in your style of play by the American Performer Tele. That's because Fender have constructed this guitar with a stunning blend of premium tonewoods, giving you an amazing, extensive tonal range. Enjoy wonderful natural depth and resonance with an alder body. This is perfect for allowing you to play driving, invigorating power chords. The body is also lightweight, reducing the strain on your shoulders when you're stood playing for long periods. 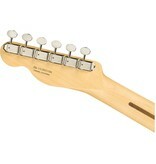 Brightness and sharpness in each note is added by the Telecaster's maple neck. And you'll have access to beautiful warmth and richness in tone courtesy of a rosewood fingerboard. It's this that will make open chord playing sound beautifully natural. A guitar that you can play for hours on end. 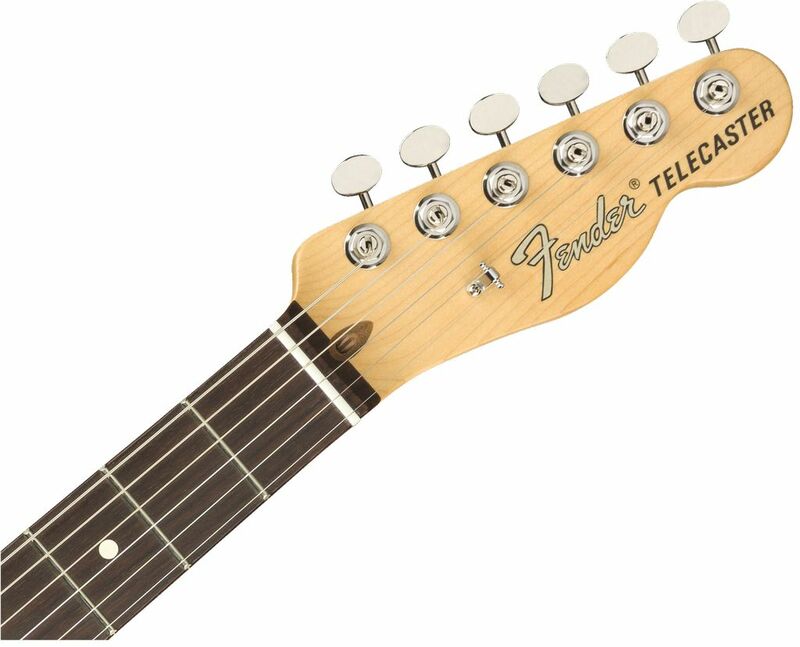 The American Performer Telecaster's maple neck has been designed to fit naturally into the palm of your hand. Thanks to this, the instrument will feel extremely comfortable when you're holding it. The benefits of this are twofold. Firstly, you'll be able to play on and on thanks to cramp not being an issue. Ideal for those shows that both you and your audience never want to end. You'll also be able to concentrate entirely on your creativity without discomfort distracting you or holding you back. Rock 'n' roll sound and style to take anywhere and everywhere. 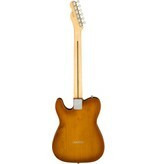 The Fender American Performer Telecaster comes with a deluxe gig bag at no extra cost. 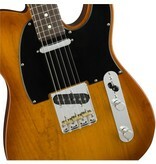 Protecting your guitar from scratches and scrapes on the move, it'll make transporting your Tele from gig to gig simple. 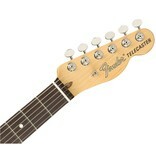 Fender have been crafting the very best guitars in the business for over 70 years. They've always been at the forefront of developing instruments that continually raise the bar of quality for the music industry. 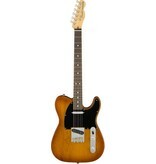 With the Telecaster, they made the first successful solid body electric guitar. In the Strat, they invented distinctive sound that would drive rock 'n' roll to its status as one of the most well-loved music genres in existence. Their Precision and Jazz basses brought more power to bass playing than ever.